I’m increasingly aghast at the erosion of the traditional freedom we’ve enjoyed to do whatever we please with our personal computers — but intrigued by the science behind it. My latest revelation came during a recent visit to AMD for a day of briefings, mostly about the Barcelona quad-core Opteron and the Torrenza direct-connect coprocessor interface. During that visit, I got the briefest of updates on new GPU (graphics processing unit) technology from ATI, which AMD acquired last year. It will ship with software that plays movies on Blu-ray discs. The AMD rep spelled it out in words that would have been undiplomatic coming from me: he said the new chips will “block unauthorised access to the frame buffer.” In short, that means an unauthorised party can’t save the contents of the display to a file on disk unless the content owner approves it. There is a short list of parties who will be unauthorised to access your frame buffer: you. There is a long list of parties who are authorised to access your frame buffer, and that list includes Microsoft, Apple, AMD, Intel, ATI, NVidia, Sony Pictures, Paramount, HBO, CBS, Macrovision and all other content owners and enablers that want your machine to themselves whenever you’re watching, listening to, reading or shooting monsters with their products. Video, audio and software will all drive a similar road, that being a single, unmodifiable path from the original encoded, licensed source to rendering, and on to delivery (display, headphones, portable device, printer or memory for execution of software). This bit of progress seems to have little relevance to IT until you expand the meaning of the word “content” to mean “that which you create that is consumed by human eyes and ears”. As people working the IT side of business, academia, and government, we know all too well that personal and customer information, trade secrets, and other varieties of confidential data can be intercepted using tricks similar to those that are used to swipe movies and music. IT content needs that direct path from source media to delivery, too, as possession of encoded media — say, a Blu-ray disc — is critical to viewing, listening or executing. For example, right now there is no unbreakable way to arrange it so a PDF or any other kind of viewable document can’t be copied or at least stored as a snapshot of the display. 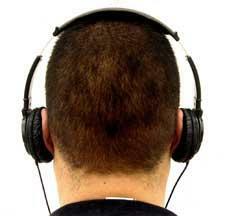 The audio portion of a classified presentation can be recorded as easily as hooking an analogue or digital recorder into the headphone output. HTML would be a much more viable means of rendering rich content if it could be protected. Rich document and multimedia rendering engines would know if they were talking to delivery devices that were specifically matched with physically secure equipment. If a renderer couldn’t verify that a display or headset that it trusts was the sole source of delivery, nothing would appear or be heard. It’s easy to write off entertainment content owners and distributors as a money-grubbing cartel; for the most part, they are. But the technical work they do to protect what they own matters, even that work which we find distasteful. They’ve got the money to drive the science of data and content protection. If they perfect that unbreakable link between the media and the delivery end point, if there’s never another DVD image splattered all over the internet, then IT will be able to make a promise that, to date, it couldn’t: nobody can view or copy your data without authorisation.